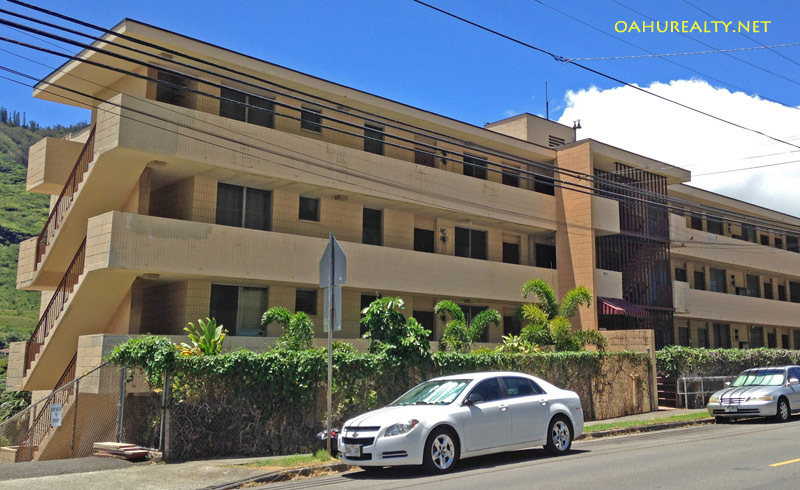 Palolo Garden is a low rise condo on 10th Avenue. The building has studios, one bedroom and two bedroom units with interiors ranging from 395-784 square feet. One and two bedroom units have small lanais. These condos have views of Palolo Valley and the hillside below Saint Louis Heights. Each condo has an assigned parking stall on the ewa side of the building. Street parking is open on 10th Avenue. A community laundry is located on the ground floor. Palolo Gardens is five stories tall and has two elevators. There are 49 residential units in the building. Palolo Garden is next door to Palolo Elementary school. The property is situated on 1.43 acres of land and has two addresses, 2140 and 2160 10th Avenue. Public records indicate Palolo Garden was built in 1970 and 1979. I live in Palolo Valley and my neighbors tell me the building was constructed in 1970 - I'm sticking with that. There are eight single-family dwellings on the grounds as well. The single family homes were built prior to the construction of the low rise building and share in the common elements. The homes are also subject to monthly maintenance fees. 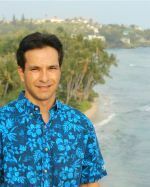 Three condos sold at Palolo Garden between October 1, 2018 and March 31, 2019. The lowest selling price was $195,000 for a studio. Another studio sold for $199,000 and a one bedroom sold for $205,000. The average interior area for all three listings was 392 square feet.